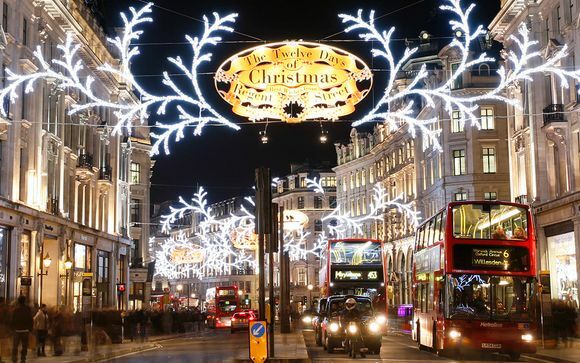 4 quality apartments situated in upmarket West London - easily accessible to all the Christmas fun! Don't miss an outing to Hyde Park's amazing Winter Wonderland with ice skating rink! 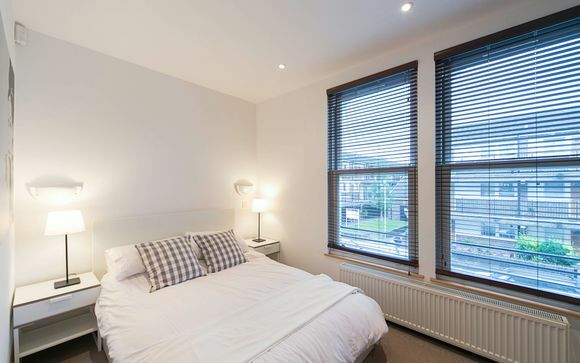 These lavishly contemporary apartment are situated in an upmarket Fulham/Baron's Court neighbourhood - just a quick walk from incredible award winning restaurants (including the famous River Café), vibrant bars as well as cosy pubs and chic cafes. 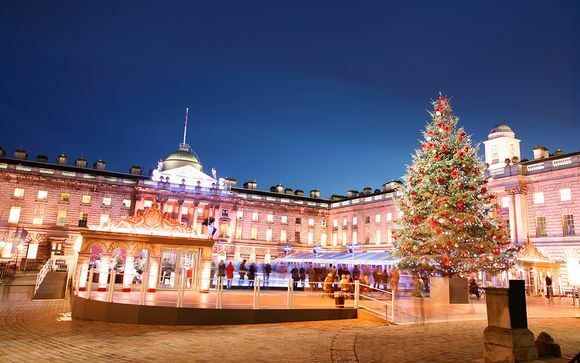 And all of London's magical Christmas markets and events are moments away! Every week, the team behind Voyage Privé Home carefully handpick the very best, distinctive apartments and villas at preferential rates...just for you! 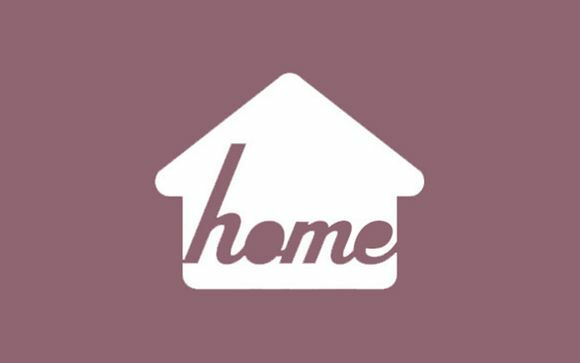 These properties are managed by trusted and professional agencies who are sure to provide you with an experience of the highest quality. Picking a holiday rental with Voyage Privé, whether it's for a city break, in the mountains or by the sea, is living in a home away from home with all the modern conveniences of your own house or flat. So why not book a Home offer for your next holiday break? Culturally, London is breathtaking, with its galleries and museums among some of the most prestigious and comprehensive on earth. From the world-famous Shakespearean performances of the Globe Theatre to the cutting-edge artists pushing boundaries inside the Tate Modern, a staggering number of London's cultural attractions are within easy reach of the apartments. 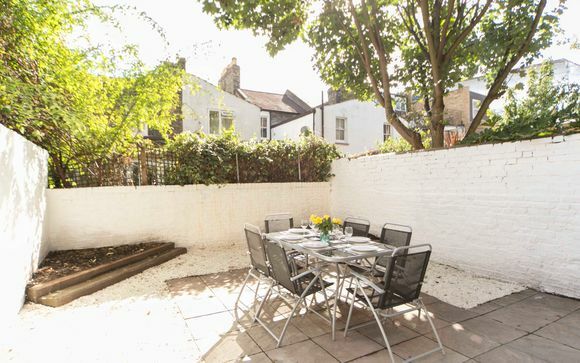 These apartments are all located in beautiful Fulham/Barons Court, just a few minutes walk from Barons Court tube (Circle, District and Piccadilly line trains). 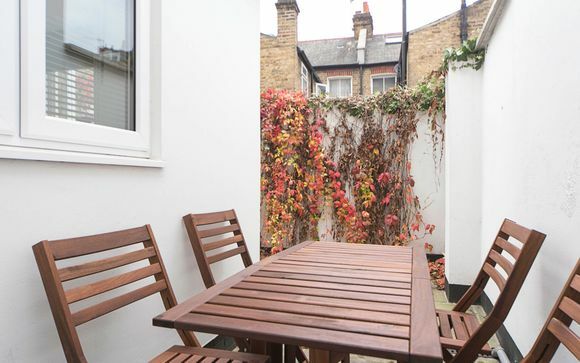 Surrounded by fashionable shops, chic cafes and adorable cosy pubs, this is an upmarket area of London with easy access to Hyde Park, Notting Hill, Knightsbridge, Marylebone and Regents Park. You can even wander down to the Thames river nearby and watch the city lights reflected in London's iconic river! This offer is based on a 1 Bedroom Apartment for up to 4 People on a self-catering stay. A fully equipped kitchen is provided. Boasting high ceilings, classic cream and white decor, this cosy 40m² apartment is elegant and flooded with light. 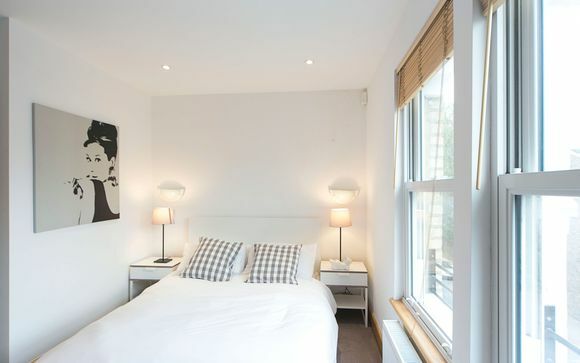 The beautiful double bedroom is warm, welcoming and sumptuously furnished. Situated on the 1st floor, this apartment has a small balcony where you can enjoy a morning coffee and watch the world go by. It features: 1 double bedroom, double sofa bed in the living dining room, fully equipped kitchen and contemporary bathroom. 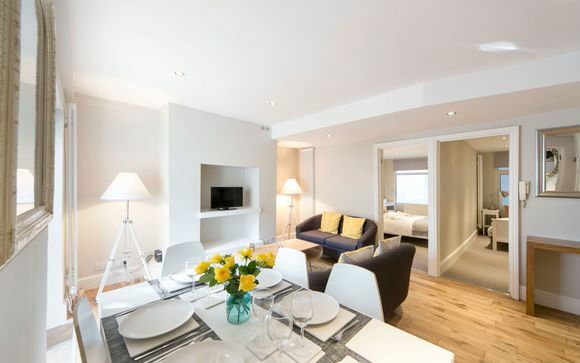 This offer is based on a 2 Bedroom Apartment for up to 6 People on a self-catering stay. A fully equipped kitchen is provided. This 70m² apartment is beautifully decorated throughout with classic contemporary furnishings and pretty decor. Situated in a traditional London building, this modern apartment is spacious and elegant - boasting high ceilings and its own gorgeous private terrace. It features: 2 double bedrooms, double sofa bed in the living dining room, open-plan kitchen and shiny modern bathroom. 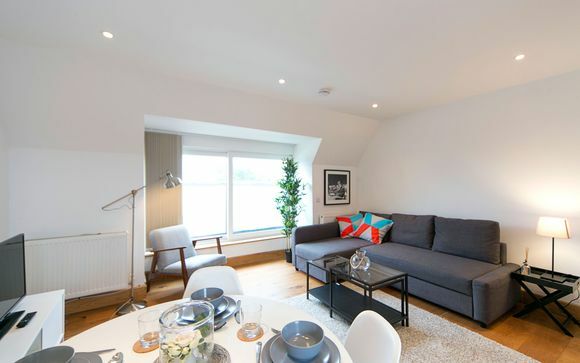 Effortlessly elegant with its simplistic design, this apartment is contemporary, light and airy. It boasts large windows and classic modern furnishings. Superbly laid out, this 70m² apartment is flooded with natural light and offers 2 chic bedrooms and a generously sized living area. It features: 2 double bedrooms, double sofa bed in the living dining room, open-plan kitchen and contemporary bathroom. This offer is based on a 3 Bedroom Apartment for up to 6 People on a self-catering stay. A fully equipped kitchen is provided. This immaculate 110m² apartment is split over two levels. 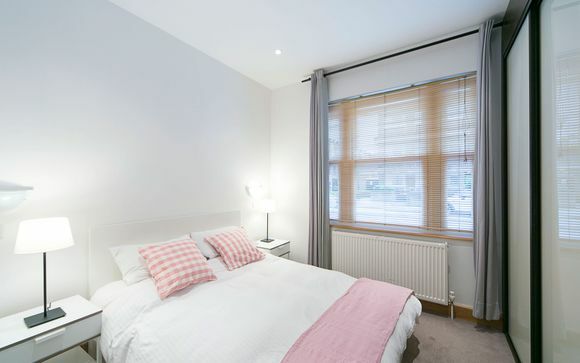 The upper level consists of 1 bedroom (a dressing room with mezzanine level for sleeping) and a newly refurbished kitchen, fully equipped with brand new appliances . 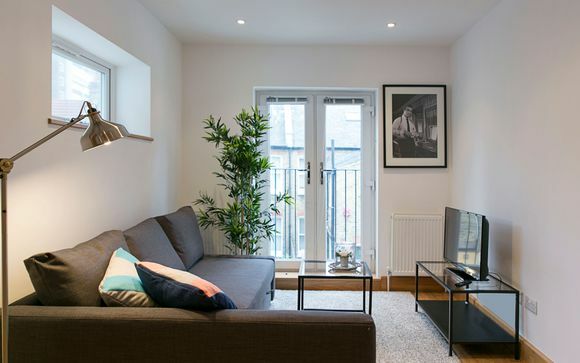 On the lower level there is a spacious, bright living room with dining area, a luxurious bathroom and two further spacious double bedrooms, furnished to an extremely high standard. With solid oak flooring throughout and lavish contemporary furnishings, this is a high-spec luxury stay - with a wonderful private outdoor courtyard. It features: 3 double bedrooms, living dining room, new kitchen, brand new bathroom, private terrace. Upon arrival, you will have the option to collect the keys at a reception desk located in Earl's Court area or have someone from the agency to check you in at the apartment directly. The Host agency will remain at your disposal for any additional requests during your stay. This effective professional team is at your service to make your holiday a real source of pleasure and relaxation. Flights and transfers: are not included. You will receive an email confirming your booking within the next 48 hours. Please check all details on this confirmation are correct.